“28 February 1227 B.C.E. :” In the Zarendo Islands, “Vistel’s Expedition” met with Queen Zapanga, who agreed to help them get into the Temple of Elemental Evil near the city-state of Selifa. The adventurers hope to retrieve a tablet binding the Efreeti Lady Shadira to Shambling Mound form. 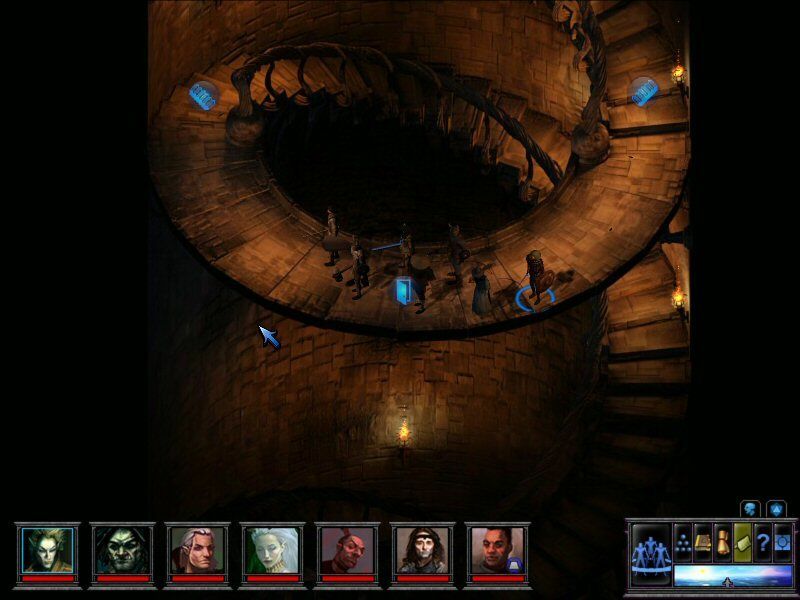 After befriending a Girallon (four-armed gorilla), dealing with a green slime and an underground river, and sneaking through an evil shrine, the infiltrators climbed a large spiral staircase. They passed a few levels inside the volcanic Mt. Tilefa, including an “arboreteum,” a “nursery,” and a “spa.” Two gargoyles directed them toward a library. Elsa and the Girallon, nicknamed “Herme,” take the lead, followed by Hamfast and Sir Torrel. Giacomo and Tempestade stick toward the middle of the marching order, and Scully and Corwin bring up the rear. The team finds a hallway with eight doors. Mage Giacomo uses Wizard Sense to see through each of them. The first leads to a guard post with gambling Ogres, and the second chamber is a storeroom. Monk Tempestade and Bard Corwin help check out the latter, which they find full of foodstuffs. Through the third door, which has a demonic face carving, Giacomo sees a pit with an Illithid (Mind Flayer) at its bottom. The fourth door is made of glass, and the Shrine of Dark Communion contains a floating black sphere. The fifth door is made of corroded copper and leads to a chamber full of water. The sixth door revolves and leads to a well-furnished room. Its beds are well-stuffed, and there are black clothes in the dressers. Two serpent folk lie coiled in the seventh cell, and the final door leads to a library. Scully, Elsa, Hamfast, Sir Torrel, and Herme wait on the landing while their companions sneak down the hallway. Two Troglodytes, one of whom is wearing a giant millipede as a boa, stop to chat with Gnoll Elsa about fashion. 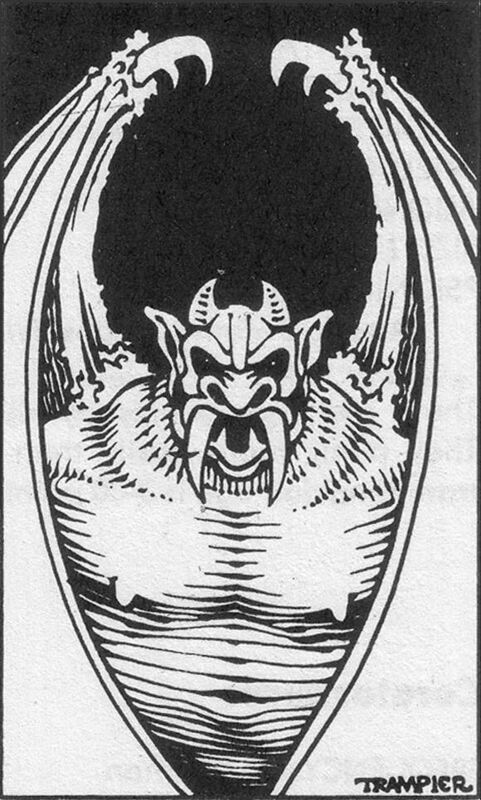 The Ranger surreptitiously uses the Lens of True Sight to perceive that the reptile kin are actually a Wakyambi (jungle Elf) and a Draconian whom the Pit Fiend ruling much of Salhonif Island has transformed. In the storeroom, Giacomo Detects Magic inside a dragon-necked bottle. Tempestade and Corwin debate whether to take any more supplies but decide against it. They bypass the other doors, and the rest of Vistel’s Expedition catches up. Corwin opens the door and barely jumps back in time to avoid a trapdoor. Rusty spikes await 30 feet below, and the Half-Elf disables the trap and begins searching for others. The library’s shelves are lined with books, and the group searches for Lady Shadira’s contract. Humans Giacomo and Tempestade grab a tome on time travel, which could help the latter get home to Brazil. Scully studies notes on taxidermy, and Druid Elsa sees books on history but no tablet. Another door leads to a study with a comely Half-Elf librarian. Prince Corwin introduces himself, much to Giacomo’s chagrin, and Naquent has heard of the Saganim exile. Corwin starts babbling even more than usual, and his companions realize that the librarian has afflicted him with some sort of madness. Elsa steps forward with her mace “Grimtooth,” and Scully draws her long bow. Giacomo brings Corwin back to his senses with Dispel Magic, and Tempestade punches Naquent. The Sorceress summons three Xorn, rocky-skinned creatures with three arms. The rest of the expedition is back in the library. Hill Dwarf Elsa Wild Shapes into a bear and presses her attacks, as Herme engages the Xorn. Scully casts Dispel Magic when Naquent tries to escape in Ethereal Form. Giacomo lobs Magic Missiles, and Tempestade kicks the librarian. Giacomo is briefly affected by the Half-Elf’s Unholy Blight, and Corwin creates a Dimension Door to pursue her into another passage. Elsa rakes Naquent with her claws, and while Scully’s Silence spell isn’t effective, she is able to cast Remove Curse on Giacomo. Corwin casts Web to slow the Xorn and finishes off the librarian with a Lightning Bolt. 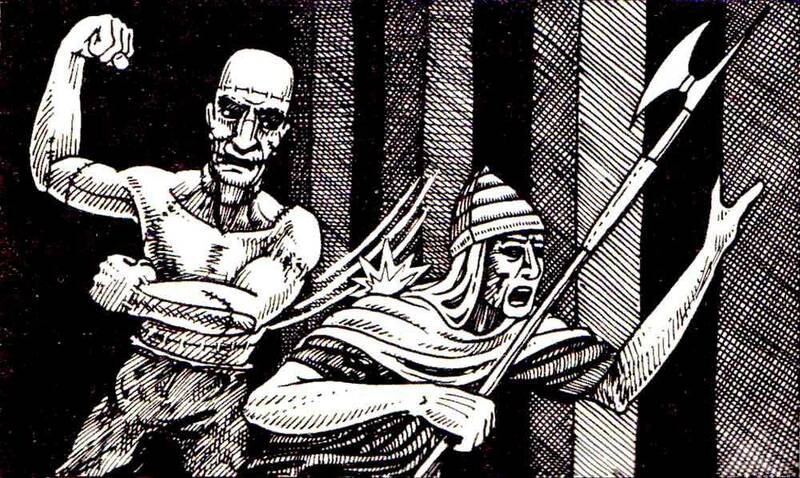 Giacomo casts Invisibility on the corpse, while Corwin takes his Hat of Disguise back from Sir Torrel. With Recall Words, he impersonates Naquent to dismiss some Ogre guards. Scully, Tempestade, Elsa, and the others hide in the hallway. Once the Ogres leave, they search the Sorceress and study. Giacomo claims a Ring of Armor (+2) and a scroll of Invisibility Purge. Scully takes a potion of Flight, and Corwin grabs a wand of Dispel Magic (Lvl. 10, 5 charges). Elsa takes a scroll of Summon Monster V.
From the next passage, the spelunkers enter a dark vestibule, where magical murk obscures their vision. Three flesh golems attack, reminding the would-be heroes of a previous encounter at the Fenor homestead near the village of Tensar. Druid Elsa reads the scroll, summoning three Fire Elementals. Monk Tempestade punches one gray-skinned golem, which feels no pain. Bard Corwin maneuvers to cast Fireball, which singes one golem but also knocks out unlucky Tempestade. Wizard Giacomo fires Magic Missiles, destroying the most damaged golem, and Ranger Scully looses arrows. The golems hit Giacomo and Corwin. Fighter Hamfast drags Tempestade to safety, while Paladin Sir Torrel watches for reinforcements. Wise Elsa invokes Gaia (Mekkil) and Moradin (Vulkan) to channel a Positive Energy Burst, healing Tempestade. Corwin flashily slashes with a sword and dagger. Eccentric Giacomo hugs Sir Torrel in a “death cuddle,” an attempt to keep his self-control vs. the tattoo of “Mad Mage” Ezra on his back. Four-armed Herme rends one construct limb from limb, and Giacomo finishes the last golem with another Magic Missile. The fire Elementals are about to turn on the adventuring party when Elsa dismisses them. Corwin uses the wand of Dispel Magic to negate the Darkness in the vault. Three horns sit on sliders behind a purple curtain on one wall. Tempestade deduces that they activate traps or alarms, and the group decides to leave them alone. Giacomo recommends resting before continuing any exploration of Mt. Tilefa. He uses Wizard Sense to peer through the two doors in addition to the one they entered. One leads to a hallway with Walls of Force and devil statues. The other doorway leads to a hexagonal shrine with dog-like statues covered in frost. Elsa conducts a Hallow ritual to remove the unholy aspect of the room, and the expedition sets watch and prepares to catch some sleep…. Remember to note any treasure on your updated Obsidian Portal records. 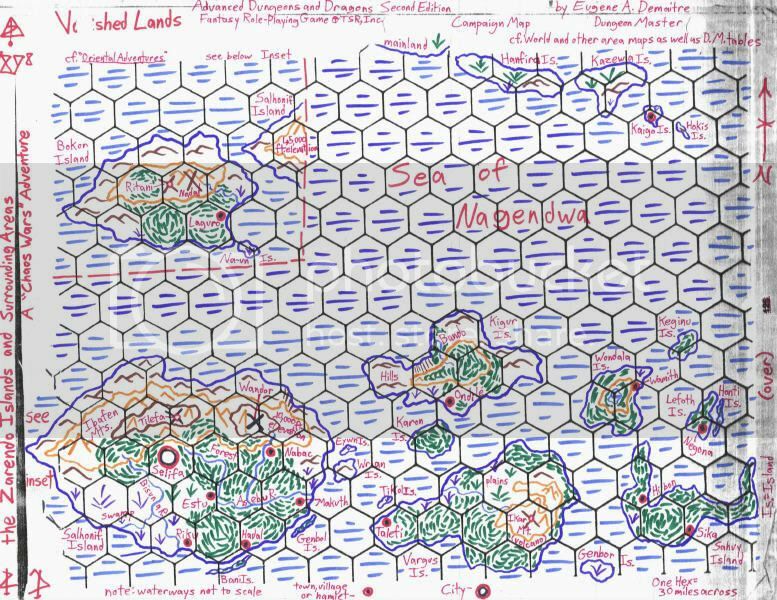 I look forward to continuing our “Vistel’s Expedition” and “A New Dawn” campaigns in the “Vanished Lands,” especially as both parties reach mid- to high levels!